NFU Scotland milk policy manager George Jamieson has called for more transparency from processors. Milk processors need to pay as much as they can, rather than as little as they can get away with, if they want loyalty from their suppliers, according to NFU Scotland’s milk policy manager George Jamieson. 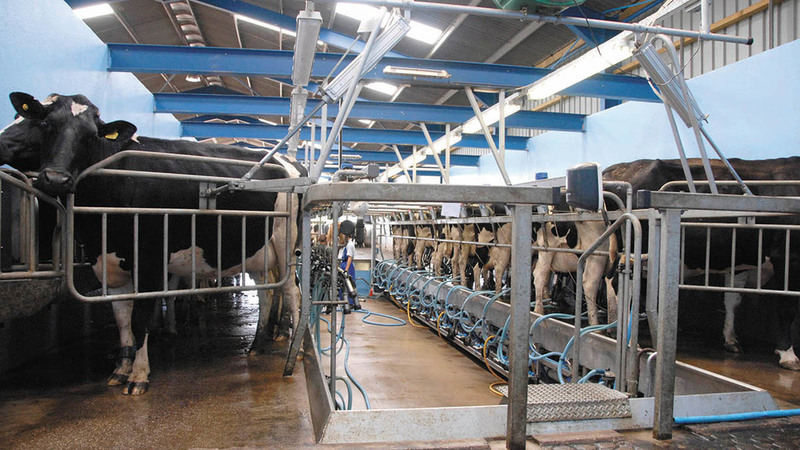 Mr Jamieson pointed to market indicators actual milk price equivalent (AMPE) and milk for cheese value equivalent (MCVE), which he said were approaching the ‘heady heights’ they reached in 2013. Both indicators have reached about 36ppl to 37ppl, while Scottish milk prices have remained at about 27ppl. Mr Jamieson called on processors to pay out based on their own businesses rather than waiting on the big players, particularly Arla, to raise their prices. Mr Jamieson said: “Processors should pay as much as they can, rather than as much as they can get away with, if they are to inspire loyalty. “Scotland lost another 33 dairy farms, according to the recent Scottish Dairy Cattle report, with more losses likely. He also called for processors to be more open with their suppliers about why their pricing was where it was. Mr Jamieson called for wholesale figures to be published to help develop new futures markets and said NFUS was putting pressure on the Government to deliver on it.